We love river cruising. Like all cruise travel, it's a hassle-free way to navigate multiple destinations and get an overview of a region, and when it comes to a region as diverse as Europe this makes for a truly amazing trip. If you still need convincing, we have a list of reasons why river cruising makes a great way to travel Europe. 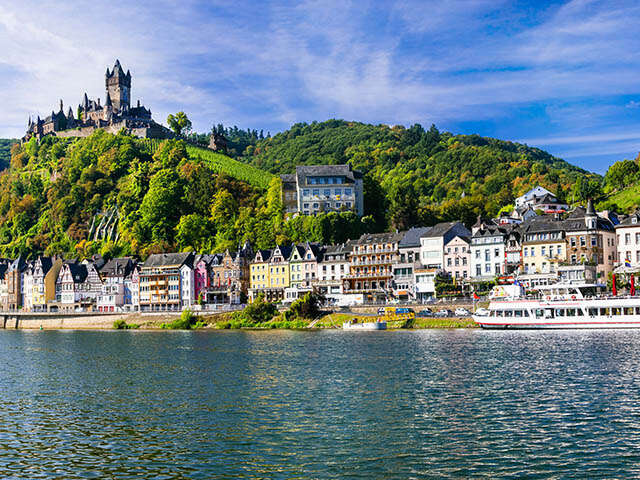 Europe can be intimidating to navigate alone, but when you book a river cruise every detail is taken care of for you. You'll often dock in the centre of each city so that it will be easy to wander around by yourself, or else you can take part in a guided excursion organised by the ship. You will be immersed in the local culture of each place you visit. Discover more about the people, culture, history and cuisine of every destination. Most river cruises host lectures, cooking demonstrations and destination performances to bring history and art to life on board. Local performers, lecturers and even artisans are often scheduled to share their talents during sailing time, bringing their culture on board the ship in an intimate setting that allows guests and locals to interact. You can go with the flow or go your own way. You can do as much or as little as you want on a river cruise. Join the guided excursions in each port of call to see the main sights. Or head out on your own with the assistance of the crew, who can provide you with tips to discover each destination your way. The food alone is a good enough reason to river cruise. One of the best parts of river cruising is that the food will often reflect the local cuisine of the destinations you visit. Many chefs will shop in local markets in order to prepare fresh, delicious meals for you on board. The cuisine of Europe is as diverse as the culture and river cruising is a great way to get a taste of all the local flavours. We'll leave you with one final thought: Rivers have always been at the heart of Europe, weaving through not just the major cities, but also the scenic rural areas and picturesque small towns between them, making a river cruise is the ultimate way to experience all that Europe has to offer. Feeling inspired? Check out Viking River Cruises' spring offers here.